Are you ready to turn "You look good for your age" into "You Look Great!"? 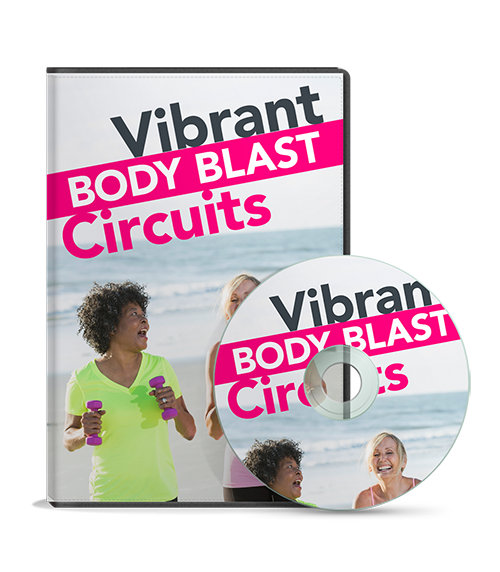 Discover how women just like you are dramatically boosting their energy levels, dropping weight, firming up and writing a new chapter in their life with this breakthrough fitness program that takes control of the ONE enzyme that stops aging in its tracks. Your body is starting to spin out of control. Your metabolism has slowed dramatically. Your energy levels are on a roller coaster. You are feeling softer and squishier with each passing year. The Truth is that you CAN take charge of your body AND your future! Did you know that EVERY woman has the ability to activate their own “anti-aging” enzyme and start turning back their biological clock? 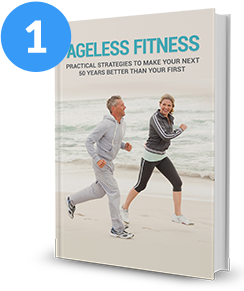 Recent scientific discoveries confirm the identification of THE key enzyme responsible for slowing down the aging process and HOW you can activate it through the right exercise program. You are a smart, active, vibrant woman that is entering and moving through a new stage in life. You deserve a fitness program that is designed to help you do all of the things that you love to do with energy and grace for as long as possible. These 3 Aging Triggers reveal the things you absolutely MUST AVOID if you want to finally achieve the youthful, vibrant, healthy self you’ve always desired. The MOST popular exercise for women over 50 is damaging your health! Walking is by far the most popular exercise of choice and highly touted by many public health professionals. Yet the truth is that for women over 50 it could actually be dangerous. Long cardio workouts dramatically increase cortisol levels. Cortisol is one of the most potent and effective belly-fat storing hormones we know of dramatically increasing visceral fat and damaging your health while giving your tummy that pudgy, soft, rounded look. You eat less and exercise more and you get nowhere because your fat-storage hormones are cranked up and you can't stop them! Plus it eats away at critical lean muscle which further destroys your metabolism making many women "skinny fat". If you really want to tone up, lose belly fat, improve your energy levels and turn on your own anti-aging enzymes then you need to stop doing long, boring cardio. What women over 50 really need is much shorter, focused movements that turn on the good hormones, turn off the bad hormones and give you the energy you want. Yes LESS really is MORE as long as you exercise the RIGHT way! In just a few short weeks you will feel and see the difference - bountiful energy, slimmer tummy and a youthful exuberance. Slams the brakes on aging! By using a carefully sequenced pattern of movements you can effectively target all areas of your body safely with NO damage to your joints. You will leave workouts feeling better than when you started. Just say YES PLEASE to getting a toned, energetic, healthy and youthful self while protecting your joints and making them more resilient for the years to come. High intensity exercise is good but high impact movements are NOT. High impact exercises will damage your joints, give you chronic aches and pains, cause muscle imbalances and lead to serious injuries. Women over 50 do NOT need to jump on boxes, flip tires and throw heavy weights around like some popular fitness programs recommend. Sure these activities can get you more fit but at a great cost as they cause more serious problems in the long run than far outweigh the short-term benefits. Just say NO THANKS to cartilage tears, slipped discs, back aches, neck pain and chronic inflammation. Why take the time to exercise if it is only going to leave you feeling drained and tired for the rest of the day? You have places to go, things to do and people to see. You can't afford to crash in the middle of your day. When you exercise for 1-2 hours each day that is exactly what happens. Then you have to try to "wake up" with caffeine which then makes you toss and turn all night long so you don't get the restful night's sleep you need. What was supposed to give you energy becomes a vicious cycle leading to lethargy, "brain fog", loss of motivation and poor health. Less is definitely more. Shorter sessions of metabolic resistance training are WAY more effective for improving your fitness level, amping up your energy levels, reshaping your body and stimulating your own anti-aging enzymes than long, dull cardio sessions. Hours of cardio leave feeling drained and tired for the rest of the day. What good is that? Shorter, targeted sessions of metabolic resistance training are WAY. Now you're talking! Finish your workout feeling energized and ready for the day. Go ahead...chase the grandkids, take a walk with your spouse, go see a show...without feeling sluggish or drained. These lies are the reason that you are struggling with not getting the results you want and are actually making you look and feel older before your time. And that's why it's not your fault! Hyper-activates your own "fountain of youth" enzyme to maximize results in a short period of time so you move better, feel better and look better within a few weeks. Fits easily into your already busy routine by taking only a few minutes to complete and can go with you virtually anywhere. Take your fitness program anywhere you go. Exercise outside or inside, at home or on the road. You never have to miss a workout again. The answer for 50+ women who are frustrated with growing old before their time and who are tired of worrying about what their future will look like. First, it addresses EVERY major system negatively affected by the aging process. This is the ONLY way to fully regain your youth and vitality. In fact, there are over 20 essential areas that will improve following this system including muscle tone, strength, balance, endurance, flexibility, power, mental sharpness, coordination, hormones, metabolism, body fat and more. This means you will start feeling better, moving better and looking better quickly. Second, it fully activates the recently discovered “fountain of youth” enzyme that is at the very root of the aging process. You will get younger at the very core of your DNA. Younger from the inside out. This means you will see better results the longer you do the program. This is not just a temporary quick-fix but a real and lasting solution. You can instantly take control of the EXACT enzyme responsible for ALL of your aging woes, problems and disease conditions that drastically accelerate for anyone 50 and over. ... PLUS, you'll know the EXACT exercises you MUST do in order to fully charge this newly discovered “Fountain of Youth” Enzyme. How would you like to take charge of your life, your health and secure a vibrant future while following this easy to follow exercise program? It may sound too good to be true but these exercises actually TURN ON this enzyme to SLOW DOWN the aging process and ALL of its negative effects. Imagine, in only 28 days, waking up and looking in the mirror to see a more youthful, slimmer, vibrant you. Imagine turning “you look good for your age” into simply “you look good”. 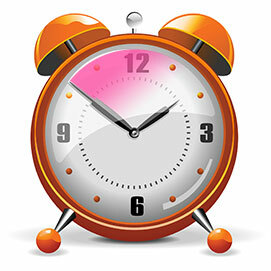 Imagine taking 10 years off of your biologic clock while eating delicious, healthy meals that are easy to prepare. Imagine having all-day energy, sleeping soundly every night and feeling good all over. This can all be yours….by following these simple, delicious meals based on the latest scientific anti-aging evidence that ACTIVATE the SPECIFIC enzyme that controls how fast you age. But before I tell you about this amazing enzyme there is something you MUST know about most “healthy” foods and how they are actually ACCELERATING the aging process, SHORTENING your lifespan, and INCREASING your risk of disease. Who am I and how did I discover these little known anti-aging exercise secrets? 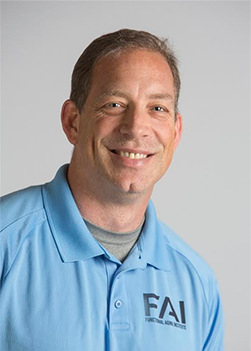 My name is Cody Sipe, PhD and I’ve spent the past 20 years studying the effects of exercise on aging AND working with 1,000’s of REAL women just like you who are looking to be the best person they can possibly be and want to secure a healthy, vibrant future for themselves. But I’m not just a professor who teaches because they can’t “do”. I have spent countless hours training clients in my personal training facility, through University research projects, numerous community collaborations and even through online exercise programs...and getting people results they never believed possible. of Mount Kilimanjaro with their loved ones. There is no reason why getting older has to mean slowing down, taking it easy, getting sick and missing out on life. Nothing thrills me more than helping women be able to play with their grandchildren, travel the world, give back to their communities, explore their passions, cultivate new interests…all while feeling and looking great doing it. The Vibrant Fitness Program is the culmination of over 20 years of study, research and experience. My name is Erin Nielsen and I’ve spent the last 18 years as a Physical Therapist and fitness professional working with 1,000’s of REAL women just like you that have been struggling to lose weight and put the brakes on premature aging. I’ve had the privilege to work alongside some of the top Physical Therapist's, Fitness, and Anti-Aging experts in the world and have learned what really works for women over the age of 50. Because of that - most women over age 50 feel that they can never have the body they want or once had, but that is simply not true. 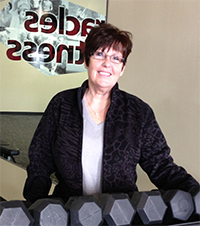 It's all about working out with a new approach specifically designed for women over 50. I am so excited and honored to coach you through this groundbreaking new program and will be there for you every step along the way! I am living proof that a program like this works because at 42 years of age I am often mistaken for being in my 20's. These amazing results can be yours too! You can start writing a new chapter in your life - one that's full of energy, vitality, and more youthfulness. A Vibrant, Fit, and Healthy Life! Have you started to count backwards yet? At some point we start thinking about how many years we have left rather than how old we are. What we really should be thinking about is how many QUALITY years we have left. The chances are good that you will live into your 90’s. But what will those last 10 years look like? Sick, dependent, on a load of medications, in a nursing home? Or healthy and energetic, having new experiences, traveling the world and creating new memories with family and friends? If you want to age well then you need to protect your telomeres. 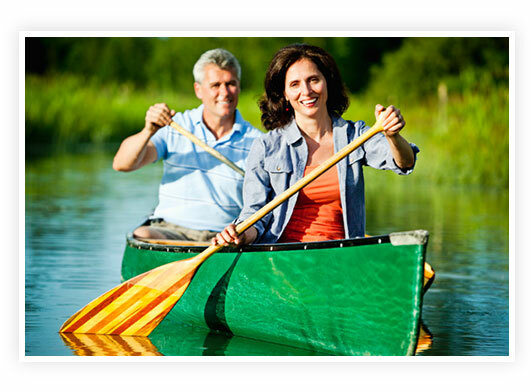 They are, without a doubt, the key to unlocking the secrets of aging! Telomeres, the specific DNA-protein structures found at both ends of each chromosome, play a vital role in preserving the information in our genome. As cells divide a small portion of the telomere is lost. When telomere shortening reaches a critical length the cell dies. If there is a biologic clock to determine the lifespan of an organism it is telomere length. You can think of telomeres like the little plastic caps on the ends of your shoestrings (called aglets). The telomeres protect the chromosome from fraying and unraveling. Once the telomere is too short it can’t protect the chromosome anymore and it dies. Telomerase is the enzyme responsible for keeping the telomeres long and healthy. As we get older telomerase activity declines which leads to shorter telomeres, cellular dysfunction, aging and disease. Keeping telomerase activity as high as possible is the key to dramatically slowing down the aging process so you can stay youthful, vibrant and energetic at any age. But there’s no way that what you do affects this genetic enzyme right? Don’t you have to go through some sort of intensive medical treatment or use expensive medications and supplements? Actually, the right exercise program can have an incredibly powerful effect on telomerase. By following the Vibrant Fitness Program you can increase telomerase activity, reduce the rate of telomere shortening and therefore delay or prevent the onset of age-associated diseases and increased lifespan. Exercise wisely and become youthful, healthy, energetic, able-bodied, medication free, lean and strong. How important is the discovery of this incredible Fountain of Youth Enzyme? Telomerase has quickly become the focus for medical researchers trying to find a cure for almost every major age-related disease such as Cancer, Alzheimer’s, Heart Disease and Diabetes. 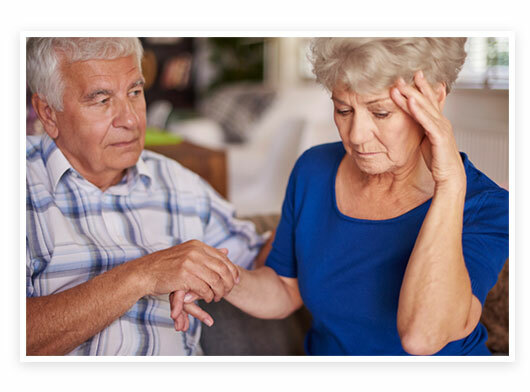 Telomere length is so critical in the aging process that it has even been found to be associated with the increase in sleep disturbances and poor sleep patterns as people get older! By turning on telomerase you literally get younger from the inside out right down to your DNA. We know that by doing this program you will feel, move and look better within a matter of weeks. If you believe, for any reason, that this program does not deliver the results that it promises then we will give you a full refund within 90 days of purchase. This means there is absolutely no risk for you because once you try it we know you will like it! 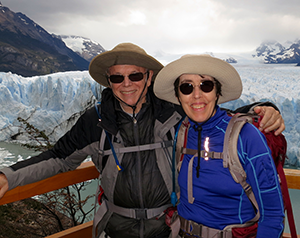 “I retired recently, and I am loving retirement , but I also knew that I needed to keep busy. Now it is time to do some things I wanted to, but never took the time. Probably 75% of people make a resolution to get in shape by eating healthy and exercising more, and I decided to do the same. I have dieted and exercised on and off my whole life (more off than on in the last 20 years). One of the things I was really determined to do was, as that “65” came closer and closer, to not be on a bunch of pills. It seems like you start on one medication and more just keep getting added. My blood pressure was borderline 148/78. After exercising for just three short months and it is down to 120/80. I would be the last person in the world to say I can’t miss my workout and now I am thrilled to say it and totally mean every word. Now I arrange my schedule, for the most part, around my workout times. I have earned it and I want to be able to continue to be healthy. As mothers and grandomothers, we have a right to be selfish and take this time for ourselves… everyone benefits!" "I have a chronic disease. Is it safe for me to follow the workouts and diet?" It is always wise to check with your doctor before beginning an exercise program if you have chronic disease, are at high risk of chronic disease or are on medications. However, don't let medications and medical conditions stop you from living the full life that you desire. Exercise is a great way to manage and prevent disease and reduce the need for many medications. "I've never exercised before. Can I do it?" The video exercises are easy to follow along with. Plus it offers several levels that are appropriate for beginners as well as advanced exercisers. Start slow and before long you will be finding yourself exercising longer and harder. We've taken all of the guesswork out of exercise that confuses new exercisers. Just follow along and experience the benefits. "I already workout. Is this program for me?" You may workout but I guarantee you don't workout like this! 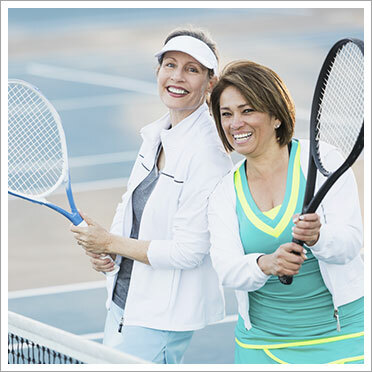 The Vibrant Fitness for Women exercise program is one of a kind. The mix of movements is designed to stimulate all areas of your body that are negatively affected by the aging process. You will simultaneously work on balance, muscle strength, endurance, core stability, posture...and so much more. Give it a try and experience the difference Vibrant Fitness can make in your life. "I'm too old to workout." 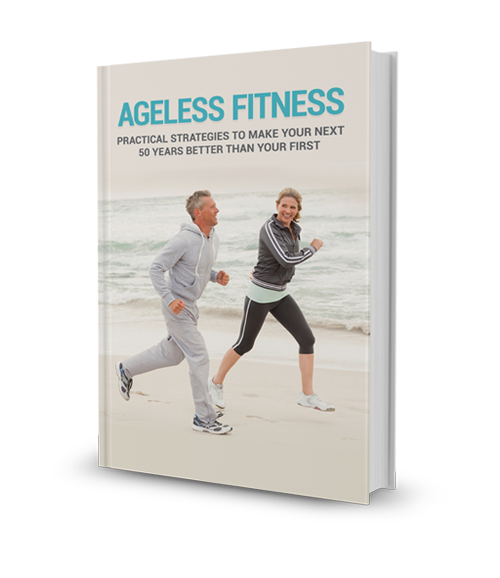 You are never too old to start experiencing the benefits of regular exercise...especially with a program designed specifically for you. The Vibrant Fitness for Women program uses the same strategies that we have used with thousands of clients of all ages and abilities. As you continue to do the program you will become physiologically and functionally younger than your chronological age. It doesn't matter how many birthdays you've had. It only matters how well you can move and this program will have you moving better quickly. "I travel a lot. Can I take this program with me?" This is the perfect program for you since it requires little to no equipment so you can do it anywhere at any time. Add the Vibrant Fitness Workout Band pack and you literally have a "gym in a box" that can be used outdoors, in your hotel, in your home...virtually anywhere. "I want a program I can do with my husband." Easy to read and detailed instructions on how to use this system to get the best results possible with minimal hassle or confusion. 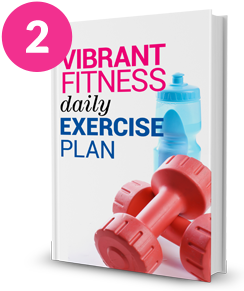 Even if you are completely new to exercise this guide will tell you everything you need to know to be successful. 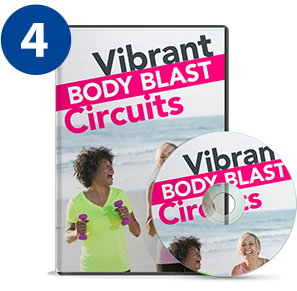 From "what to do" to "how to do it" to "when to do it"....we've covered it all so you can get started creating your Vibrant body quickly and easily. These follow-along workouts are designed to help you improve your functional strength, muscle “tone” and hormonal profile. Functional strength is usable strength. It is strength that helps you move better and feel better as opposed to just looking better. Now don’t get me wrong. It will make you look better too but attractive and feminine rather than manly and bulky. 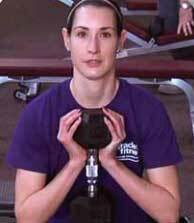 The time will fly by as Erin personally coaches you through six different 20-25 minute progressive workouts designed to rebuild your feminine muscle without manly "bulking" exercises. If you want to live Vibrantly then you must get back the muscle you've lost as you've aged without damaging your joints. Become toned, tight and stronger while moving better and easier with these whole-body exercises that give you the best results in the shortest amount of time. PLUS - these movements will improve your balance, coordination, posture and stimulate your brain! These short body weight only routines are designed to fire up your body's own anti-aging enzymes, get your hormones under control, increase your cardiovascular fitness and burn lots of calories. Stimulate fat loss, spike your metabolism for 1-2 days and dramatically increase your energy levels. Alternate movements are given so that you can adjust the workout to meet your personal capabilities and needs. 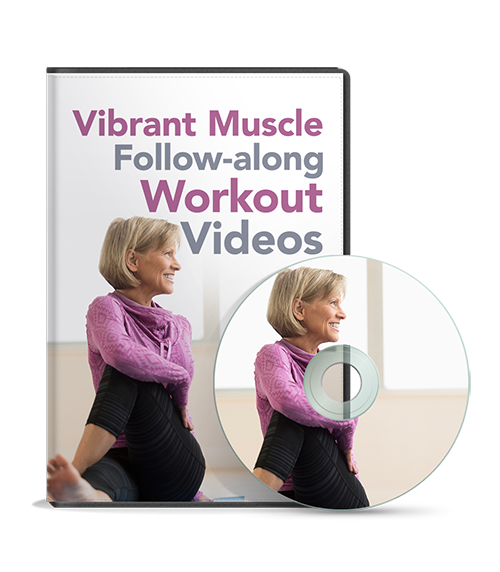 The Vibrant Muscle workouts combined with the metabolic circuits create a significant 1-2 punch against premature aging, disease and dysfunction by stimulating your body's own anti-aging enzymes and hormones. 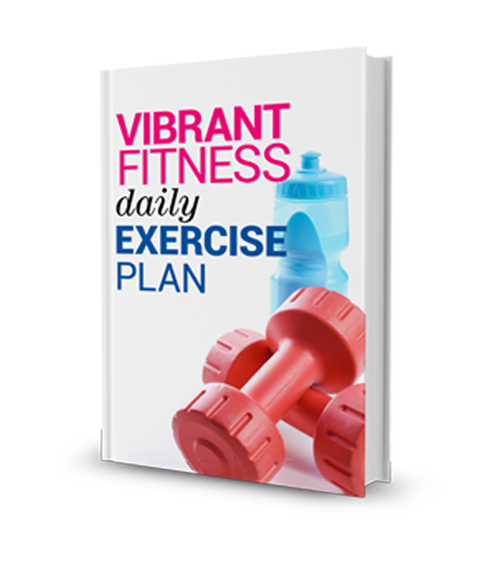 © 2016 Vibrant Fitness for Women. **Click the "CANCEL" or "Stay on this Page" Button to check out this incredible offer to try the Vibrant Fitness For Women Program for ONLY $1.